QGIS is an open source GIS. It is extensible with Python, it integrates the GRASS analytic environment, and it works on both Windows and OS X.
We’re using QGIS to visualize raster and vector processing product during our workshop. If you have another GIS available to you, you are welcome to use it, but because QGIS is open source, we are installing it and using it to be sure you’ll have something to look at data with. Copy the contents of your Hobu USB key to a PDAL directory in your home directory (something like C:\Users\hobu\PDAL). We will refer to this location for the rest of the workshop materials. After your materials are copied, navigate to the c:\Users\hobu\PDAL\software directory. It is assumed your Hobu USB drive has all of its contents copied to the C:\Users\hobu\PDAL folder. Please adjust your locations when reading these tutorial documents accordingly. 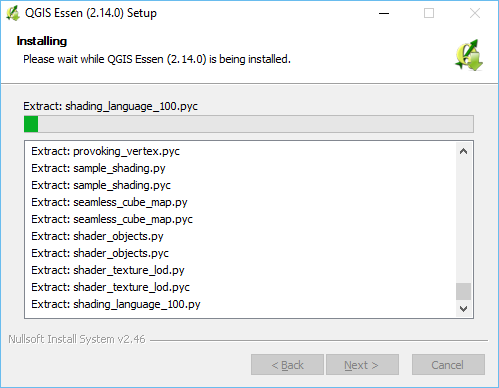 Choose the install image, Windows or Mac, and install QGIS prepare your machine to run the examples. 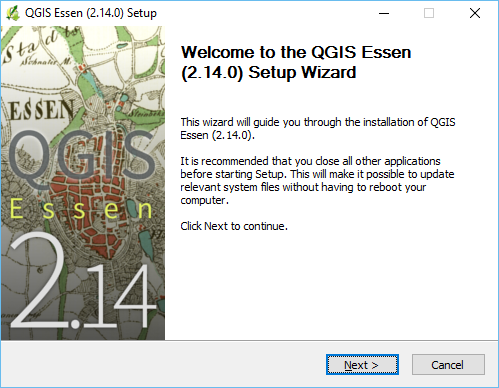 Once installed, verify you can run QGIS by opening the application. 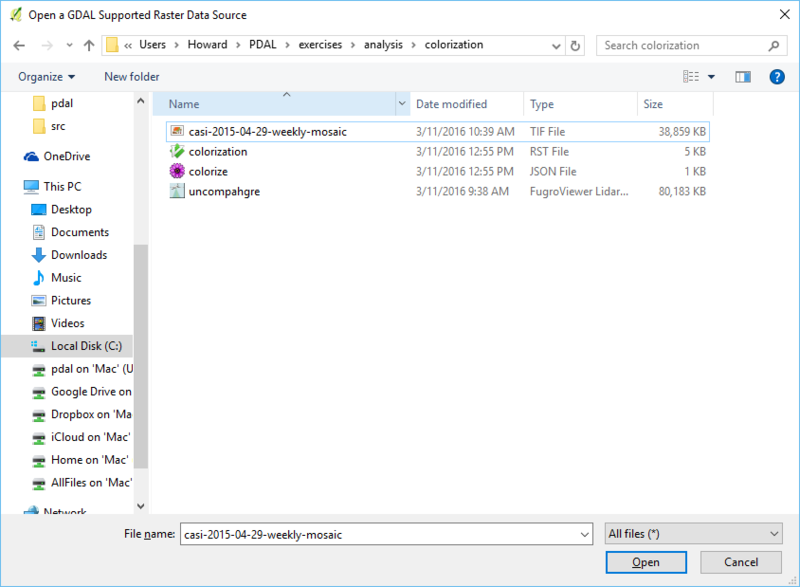 Navigate to the C:\Users\hobu\PDAL\exercises\analysis\colorization directory. Select the casi-2015-04-29-weekly-mosaic.tif image and open it for display. 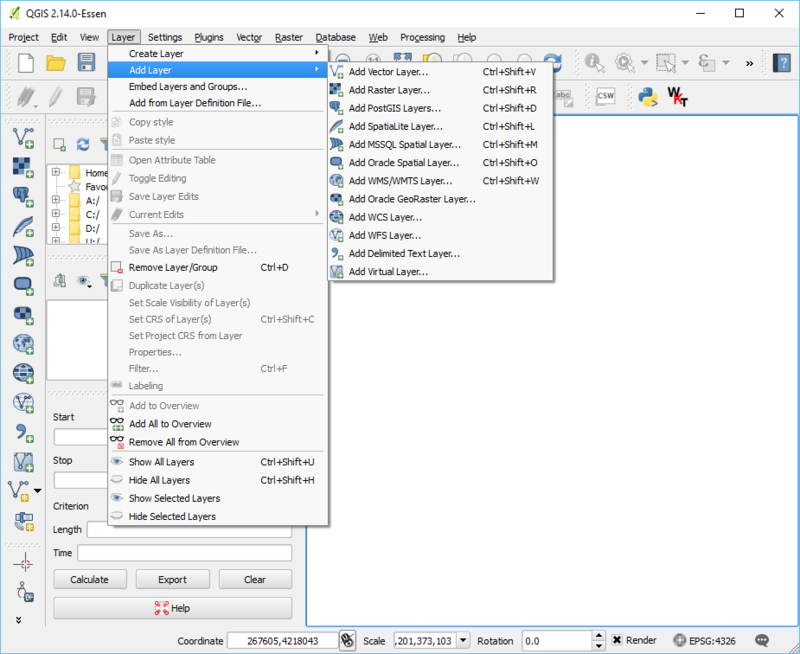 QGIS allows everyone to have access to a fully-featured GIS. 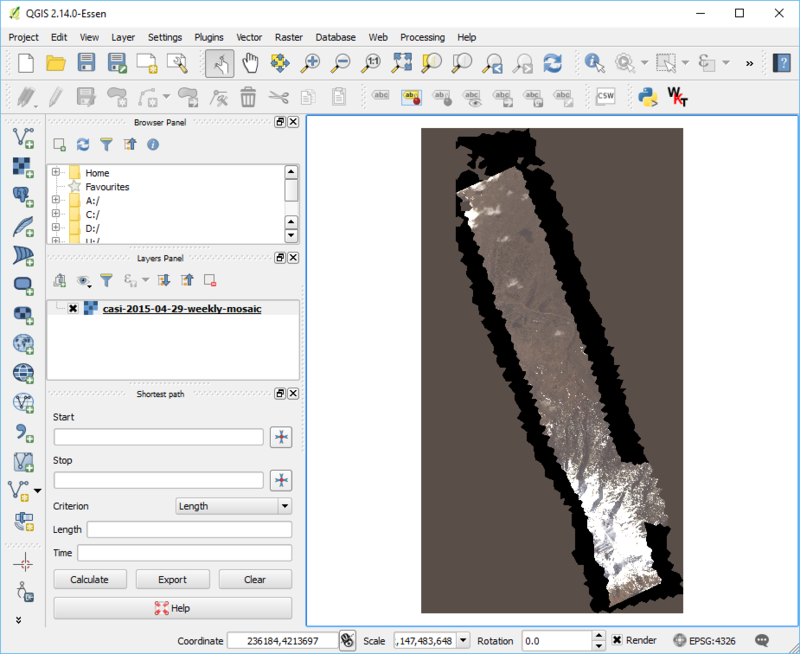 We are going to use it to visualize raster and vector data used throughout the workshop.